This was a 26-year-old lady with no history of consanguinity. 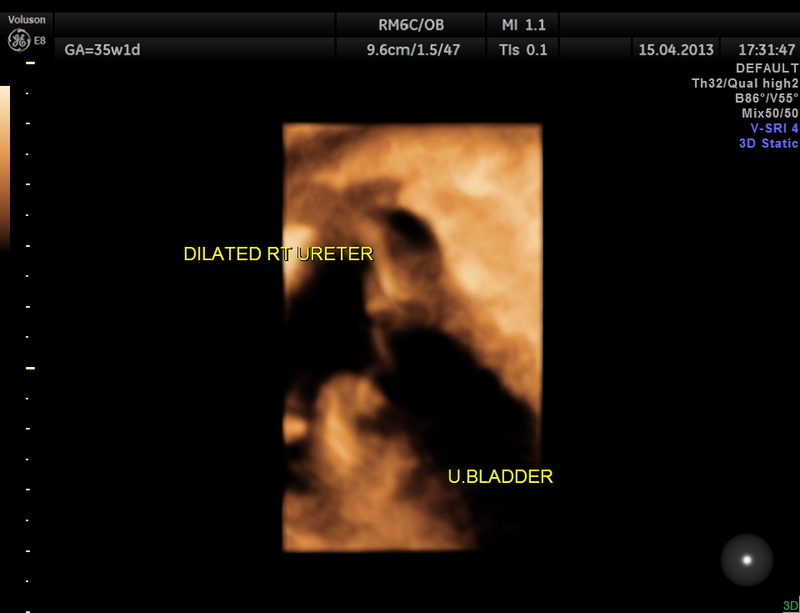 The scan was done at 35 weeks of gestation. 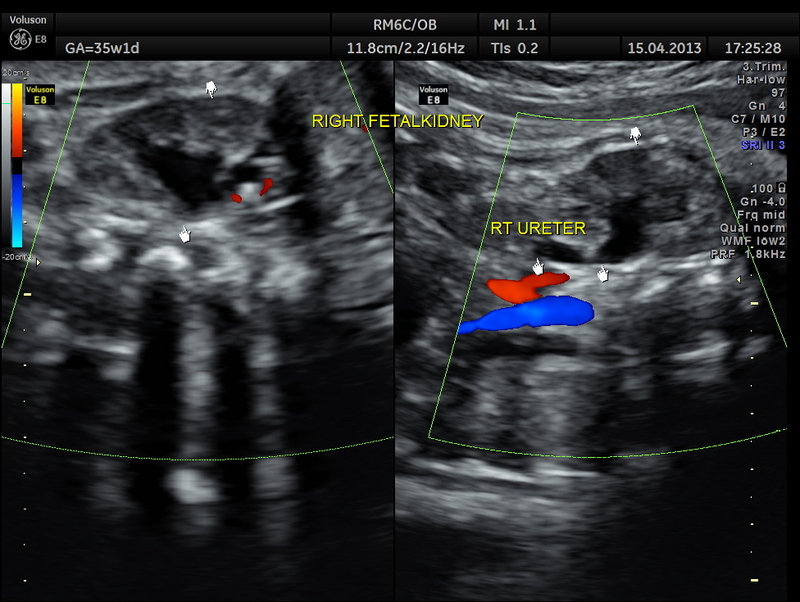 Right fetal kidney shows mild pelviectasis. 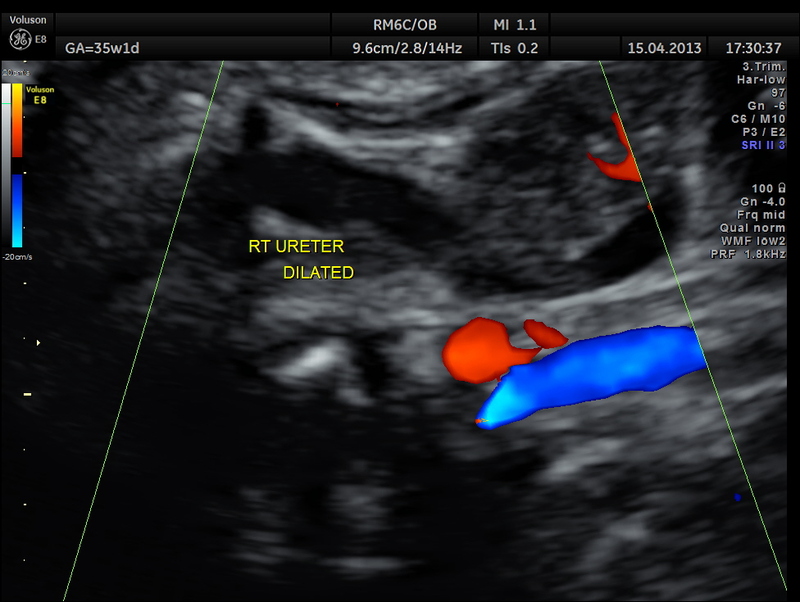 3 d reconstruction shows an echogenic tissue at the junction of ureter and bladder. 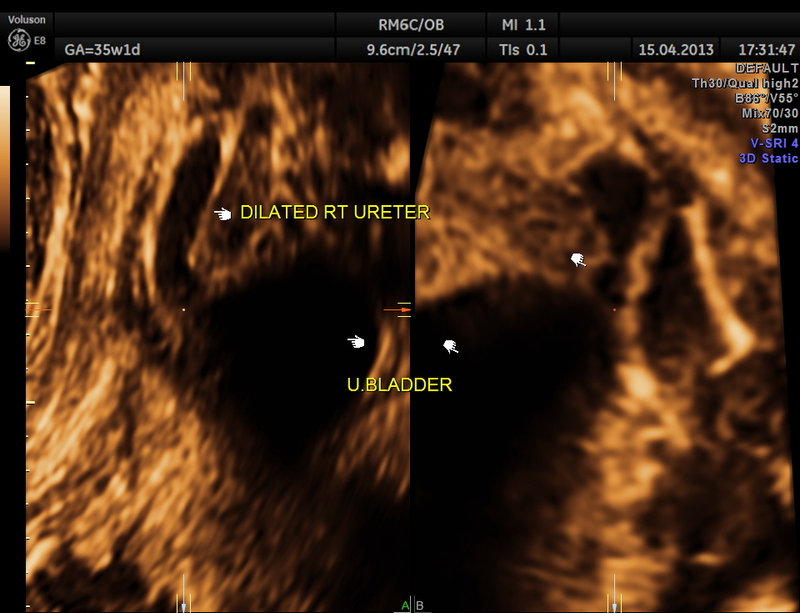 Right sided hydro uretero nephrosis , with likely obstruction at right vesico ureteric junction. 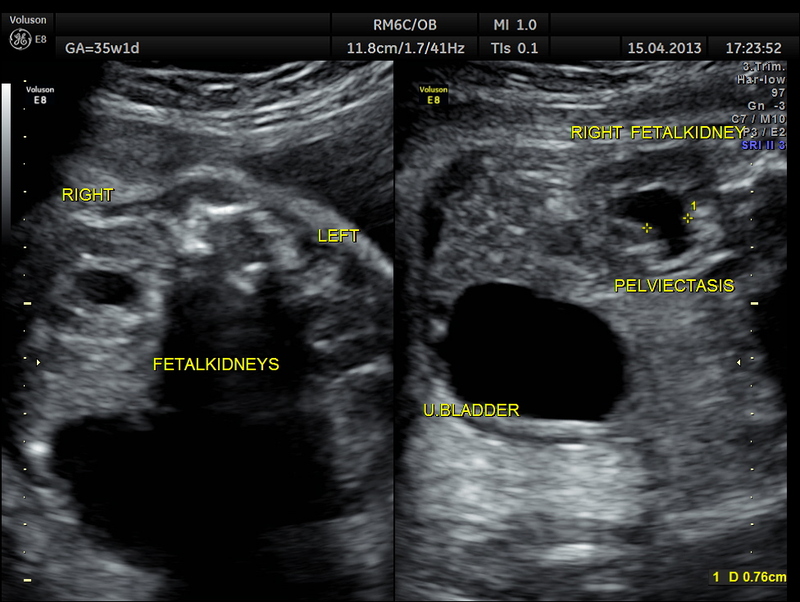 We followed few fetal hydronephrosis postnatally by USG and radionuclide renography–one of them had surgery at age of 2months.